The legendary Asbury Lanes is celebrating with a reopening party on Monday, June 18 and Bruce Springsteen was just announced as a special guest. 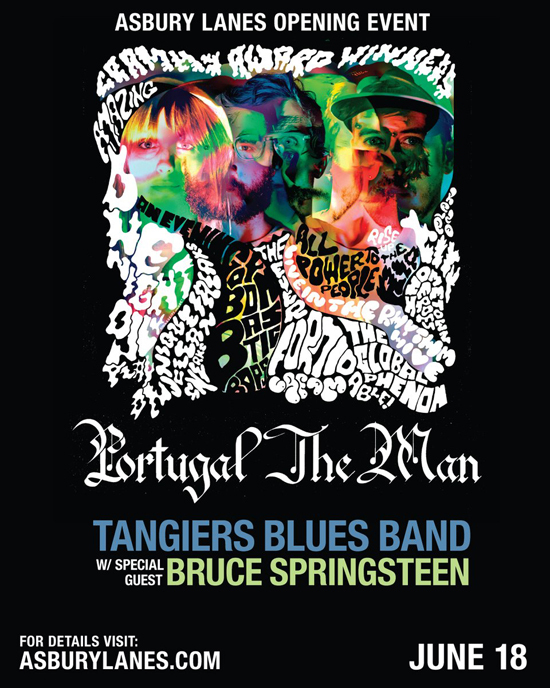 Springsteen will perform with Danny Clinch's Tangiers Blues Band, also on the bill is Portugal The Man. Want a chance to go? You're in luck. One hundred pairs of tickets have put aside for those who live and reside in Asbury Park. However, if you don't reside there you can still enter for a chance to win. Either way, be sure to click the links below to enter the sweepstakes. Good luck!